OK. This is simple enough that I can do it. First, make sure your SDK Tools are up to date. Otherwise, this won't work. Plug in your phone, then open up a command line. 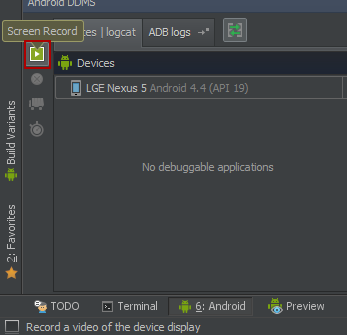 You initiate the recording with a simple adb instruction, but it actually saves on the phone. When you're done, just copy the file to a computer or wherever. To stop the recording, hit CTRL-C on your keyboard. rgbg, Mac58, ddpacino and 1 others like this. Do you have an idea of what FPS it records at? Phil Nickinson and eloy35 like this. I get everything to go but the file ends up only being 3KB and no app can open it...any ideas? So if you use android studio can you skip all the command line stuff? Same problem here. You got any solution? 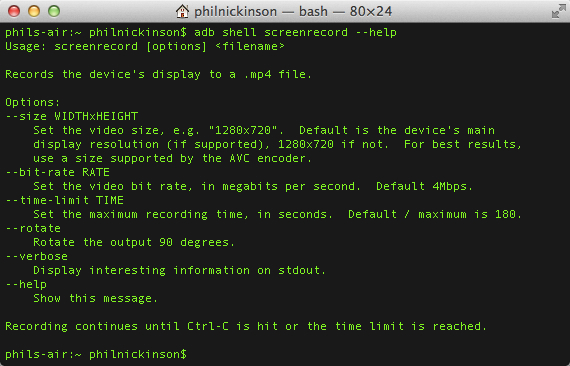 Hey, can't I use the command "screenrecord /sdcard/1.mp4" in the terminal emulator on the device itself? I tried but it says "Filesize = N/A" in ES File Explorer and the file can't be opened by any app. How do i print text from an inactive my touch phone? ?